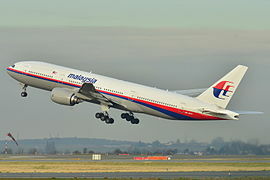 On 8 March 2014, the aircraft flying the route, a Boeing 777-200ER, went missing less than an hour after takeoff. Sometimes I believe, there is an intuition hiding in the uncomfortable feeling. I looked at you, trying to say something that’s not seemed silly, or made me like a spoiled girl. You ate your late lunch, already wearing your uniform. The two badges on your shoulders made you manly. The white shirt, the neat one, always seems perfect on your body. Your laksa has gone. Now it’s the time for your coffee, and maybe it’s the perfect time to tell you my worry. ‘I have a bad feeling,’ I told you seriously. You smiled and put your cup on the table. ‘And for this time…what is it?’ That smile still on your face. I didn’t know, but it’s not your style to underestimate me. Your smile was like…a big brother to his sister. ‘I…don’t know…but…I just feel…maybe it’s not the right time to fly,’ I told you in doubt. Yeah I knew, you were the copilot, and it’s your job. Your passion, for my sure. And, I knew it’s not my right to prohibit you doing your job. But…for this time, I just wanted you to hear, what’s bothered me since last night. You just laughed. ‘Don’t worry. It’ll be the same as other flights. And, I feel so excited today because this is for the first time I will fly the 777,’ told you proudly. I tried to understand how this moment was very important for you. And, as your fiance, I must give you my best support. ‘After I’m comeback from Beijing, I’ll train you with the simulator, how to fly 777. Euh…it will happen if your trainer let his job is taken by me.’ And you ended our conversation with laugh. Then, it’s the time to say goodbye. A soft kiss in my forehead, and I just told you to let me know you’re OK after landing at Beijing. A joint search and rescue effort, later reported as the largest in history, was initiated in the Gulf of Thailand, South China Sea, Strait of Malacca, Andaman Sea, and the Indian Ocean.